Since Xanth began, the gargoyles of that magical place have been under a magical compulsion to protect the purity of the Swan Knee River which flows in to Xanth from dreary Mundania. 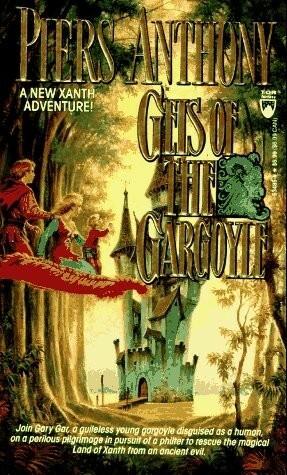 But recently the pollution from the outside world has grown ever greater, and young Gary Gar, latest in a long line of gargoyle guardians, is finding it ever more difficult to fulfill his responsibilities.So Gary does what any sensible Xanth resident with a dire dilemma would do. He goes to see the Good Magician Humfrey, who sends him on a peculiar quest--to transform himself into human shape, tutor a precocious child with more than her share of wild magical talents, and find a philter which can restore the river to its previous pristine state.